MAC MBK-85. 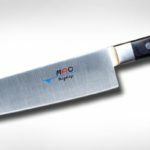 This Chef’s knife is modeled after the standard French chef’s knife which has a slightly curved edge and a fast taper towards the tip (compared to a Japanese chef’s knife which has a more gradual taper from the heel to the tip). 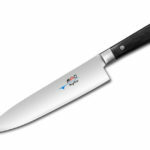 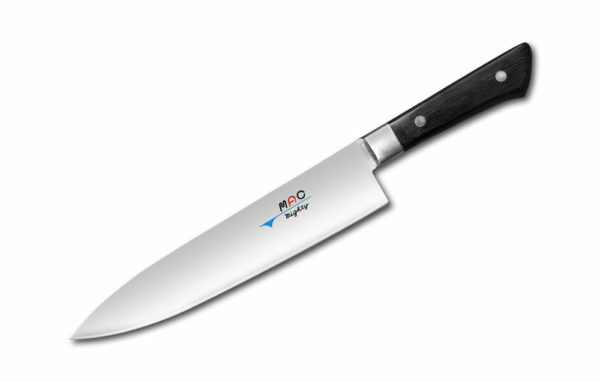 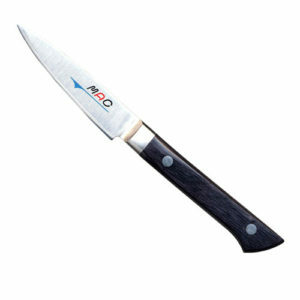 This is an 8½” version which is fairly standard for most home cooks and professional chefs. 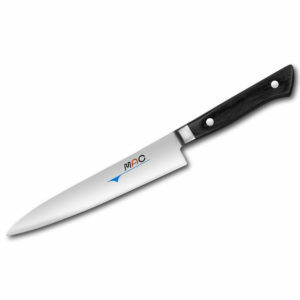 A multipurpose knife for just about anything you would cut on a cutting board.